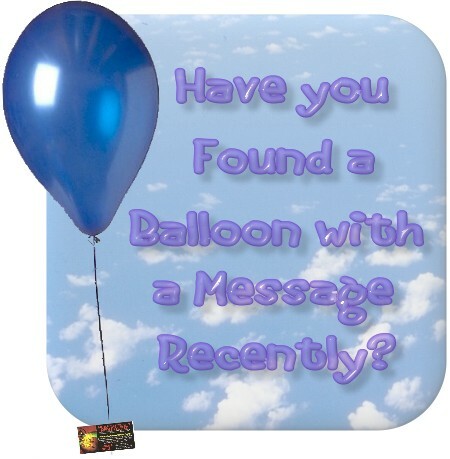 Starting in Late April of 2007 Presents of God ministry has begun to release helium balloons on a daily basis to help spread the Present Truth to souls across the nation, or as far as the wind will carry the balloon. We usually send off the balloons with a small business card sized tract because it only takes one ballon to get airborn. 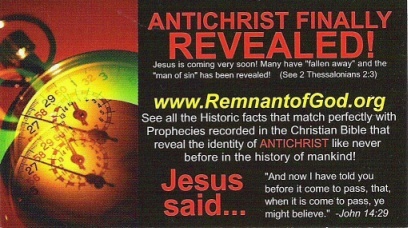 Once in a while we will send off an Antichrist tract with three balloons. If you have found one of these tracts, please fill out the form below to give us an idea of how far these ballons are traveling. Date written on back of card. First time visiting the Website?